If world events polarise us, the paranoia they cause also tends inspire the madness of crowds, particularly when atrocities, threats and fear result in the ethical paradox of swapping passivity to those events with passivity to politicians. 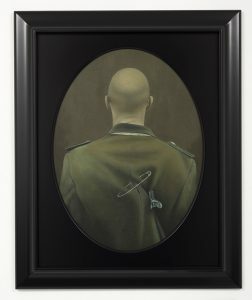 It forges consensus out of complacency with little place for individual dissent; a situation that, not without coincidence, artists as a whole are intimately familiar with. Heather Straka’s Somebody’s Eyes suggests this dehumanising quality that seems as relevant to the clash of guttering empires during the First World War as it is to the binge and purge news cycle of Islamist terror threats and Middle East invasions we have been living with since Desert Storm in 1990-91. Plus ça change, plus c’est la même chose. 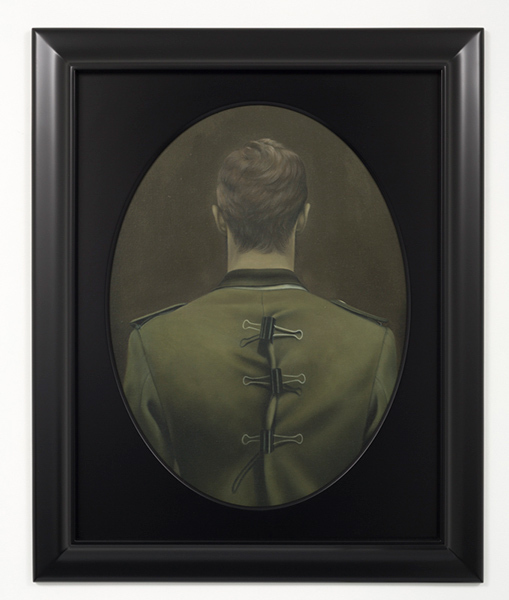 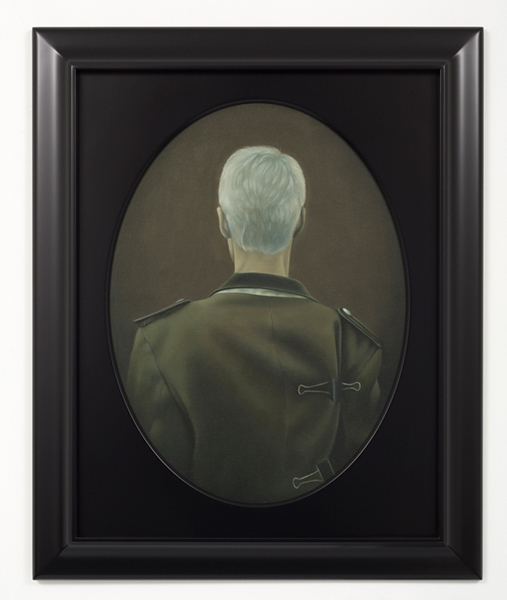 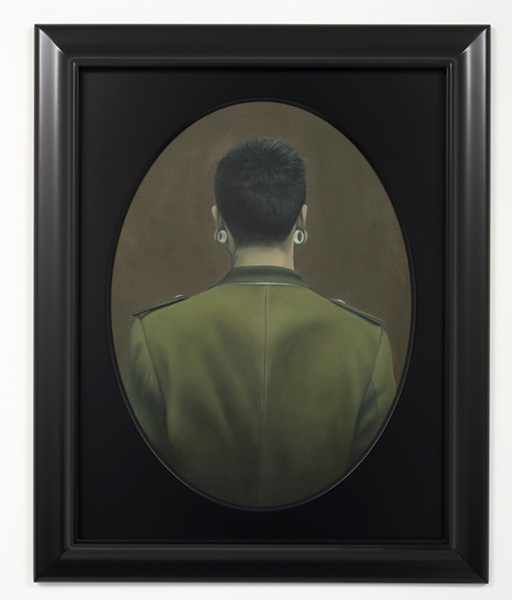 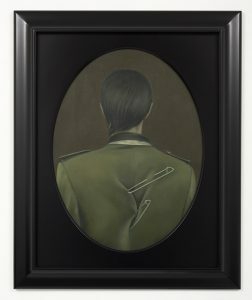 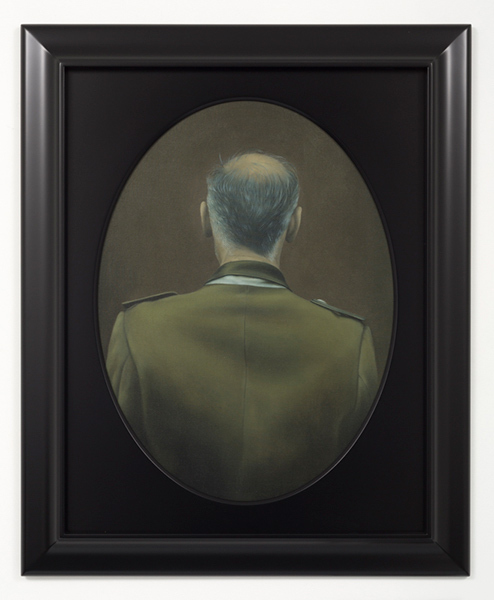 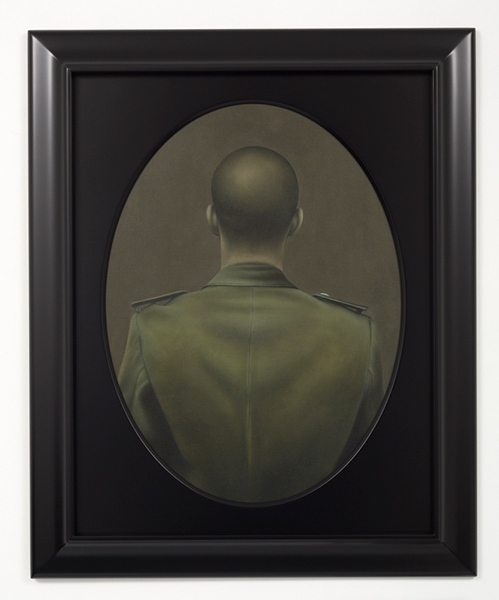 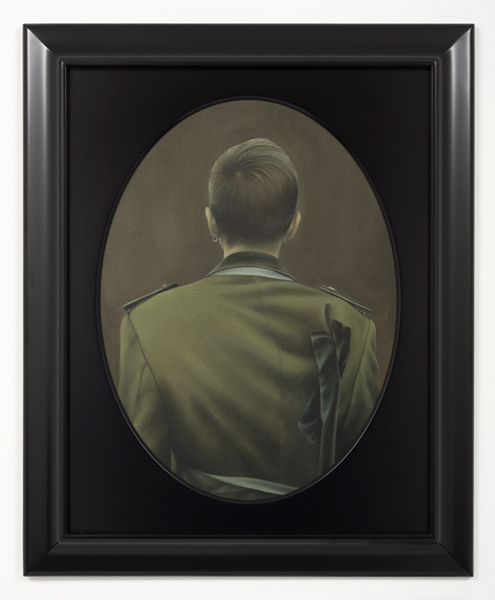 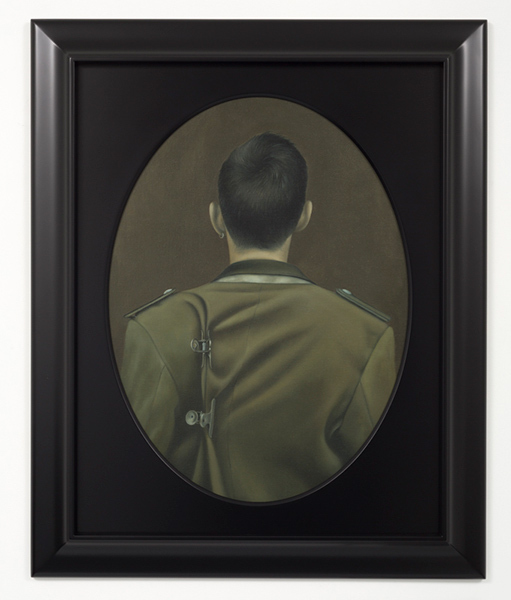 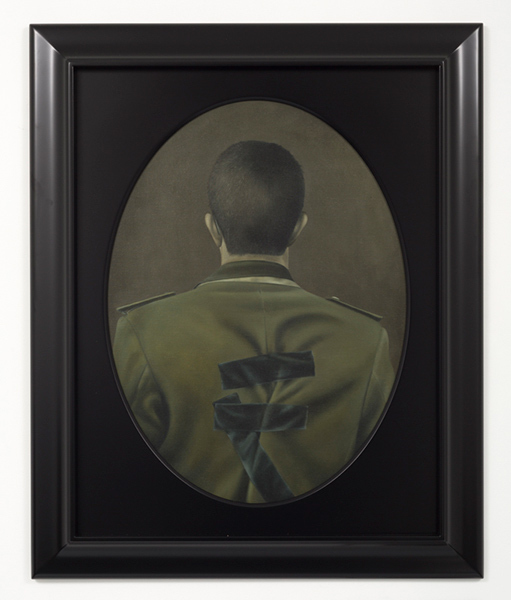 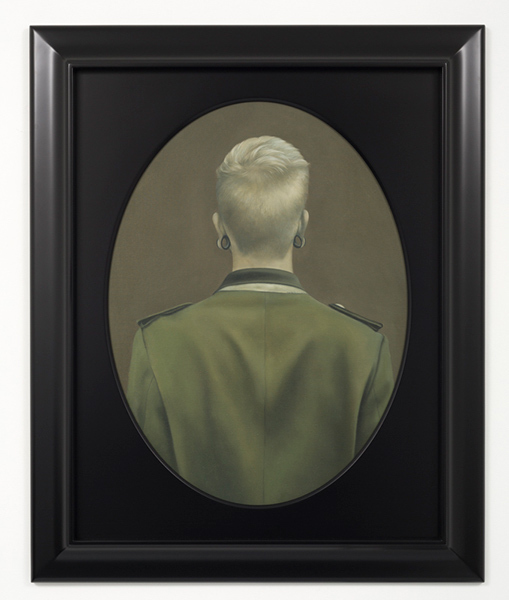 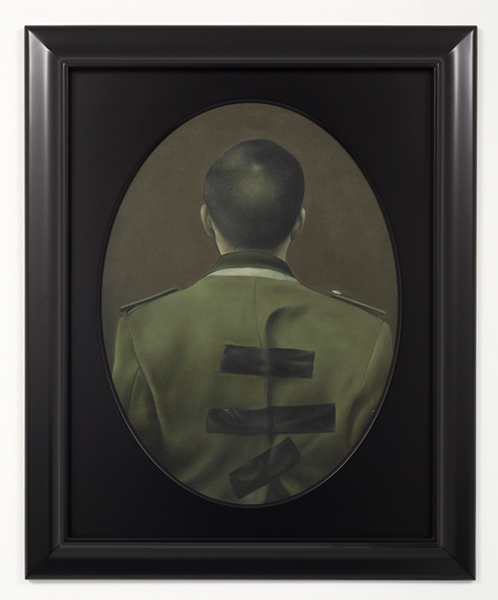 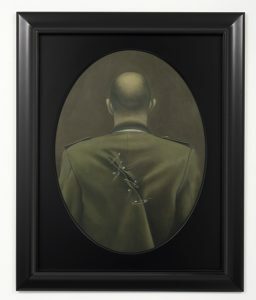 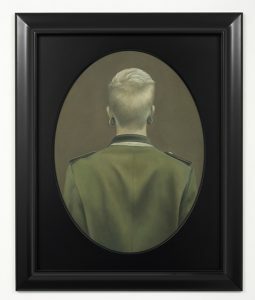 Straka packages her anonymous subjects as faceless, androgynous (typical of the gender play that permeates much of her work) and bundled into the same ill-fitting uniform hastily improvised to fit with bulldog clips and duct tape. 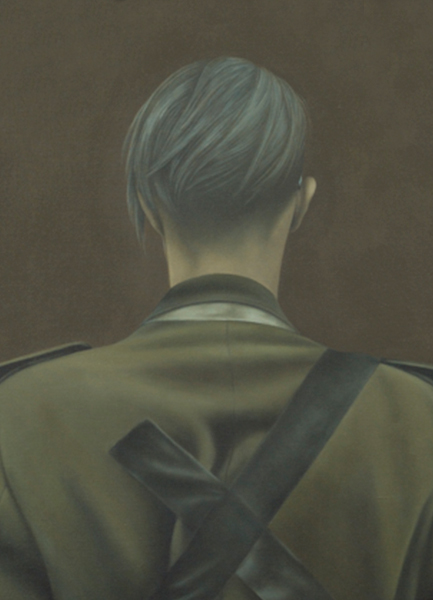 With such a diversity of types, there is an intimation that we are all conscripted in one way or another, and at the same time a reminder that those who do choose to don uniforms of whatever kind are no less human individuals than ourselves. Given Straka’s work has long been an intimate process of holding a subversive mirror up to the accepted social consensus and sacred cows, reflecting back their prejudices and ignored otherness, it seems natural to read a kind of peripheral commentary in Somebody’s Eyes – not necessarily a political one or anti-war one, but a caution from the margins against assumptions and herd thinking. 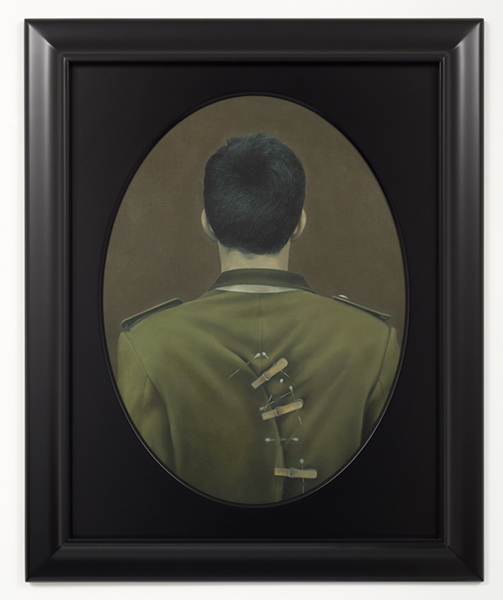 At the same time, we really have no idea which side of the conflict the subjects are on. The uniform is in fact a Nazi one. 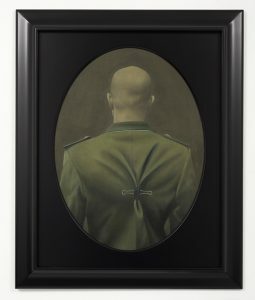 If we flip things around we may find ourselves in the awkward position of acknowledging the humanity of the person in the uniform – a bit like the creepily seductive “Tomorrow Belongs to Me” scene in Cabaret. 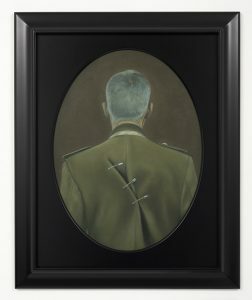 If that’s the case are they even a genuine enemy or just a straw man set up by the Powers That Be? 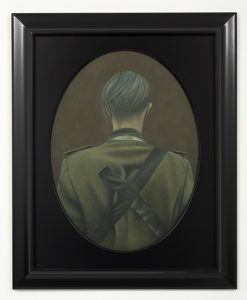 While one can objectively state the Nazis in World War 2 or Da’esh today are evil, it’s not so straightforward to apply the same reasoning to broader actions in, say, World War 1 or the Middle East.